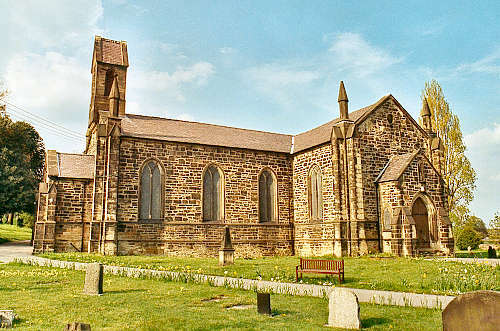 St. John's church was consecrated on 6 July 1837. At that time, it was a district church within the parish of Ruabon. The new parish of Rhosymedre was created on 24 May 1844, from the township of Coed Cristionydd and part of the township of Cristionydd Cynrig, which, until then, had been in the parish of Ruabon. On 28 October 1879, a portion of the parish of Rhosymedre was transferred to the new parish of Penycae. For family history information about the church and parish, visit the GENUKI Rhosymedre page.